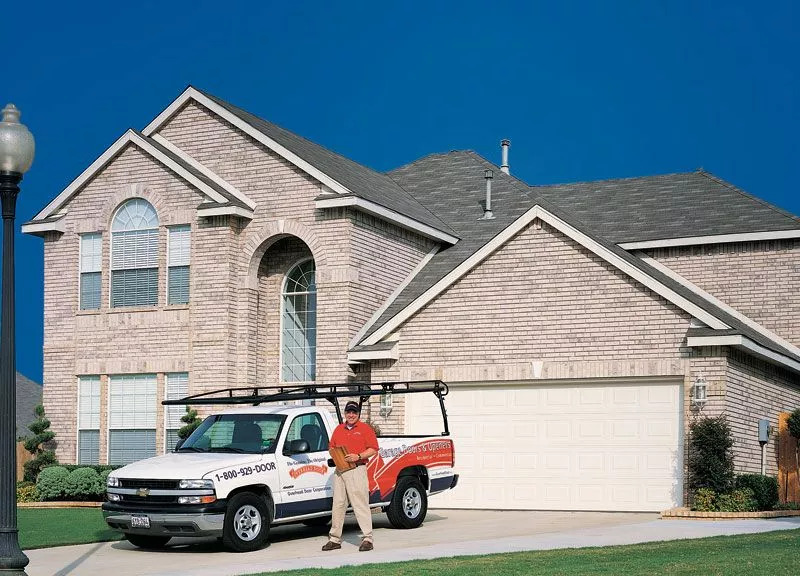 When you have questions about the garage door services and products at Overhead Door Co. of Greater Cincinnati, be sure to check out our FAQ. Of course, if your question isn’t answered, feel free to contact us online or by phone at 513-394-6938 513-394-6938 today! What types of garage doors do you offer? We also offer different garage door openers. Do you offer any other products besides garage doors? How do I choose a good garage door company? The best things to do are ask for references and call them, look for signs that indicate the company is legitimate and authoritative and check that the company is licensed. What is a garage door tune-up? Not necessarily a full replacement, a garage door tune-up entails an inspection and any necessary minor repairs. It can be a great way to make sure your door is in working condition. Resembling real carriage houses, Carriage style garage doors are ornate with “antique” charm. They are characterized by decorative windows along the top and hardware mimicking the handles and hinges of real carriage house doors. 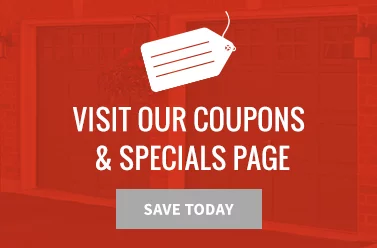 How often should my garage door or opener be serviced? If you aren’t having any problems and your door is working the way it should, a preventative maintenance call is suggested once a year with normal use. If your door or opener is older and/or gets heavy use, you may need more frequent maintenance. What does garage door maintenance entail? How much does a garage door cost? The price of your garage door is influenced by a wide range of factors, including regional conditions. Contact us for a no-obligation estimate so you get an accurate price for the specific product you are considering. Can I do work on my garage door? Some work is okay—such as simple lubrication or tightening of a hinge (if you know what you’re doing). But other work is best left to the pros. For example, you should never attempt to adjust or remove the door’s springs, cables or bottom fixtures. These items are under a lot of tension, and attempting any work on them could result in serious injury or death. Yes! All Overhead Door steel garage doors can be painted with latex paint. Can I replace a section of my garage door or do I need to replace the whole door? Depending on the damage to the door system, it may be possible to replace just a section. One of our experienced sale representatives can assess your situation and give you a recommendation on the best course of action—at no charge. What are the standard sizes for your residential garage doors? Standard sizes are whole-width increments starting at 8 feet wide and going to 20 feet wide. Some door series have sizes smaller than that. Standard heights are 7 feet and 8 feet tall. Other heights and widths are also available and vary by individual door series. Why is my garage door opening and closing by itself? If your garage door is opening or closing on its own, it can mean there is a short in the circuit board. If it’s not a short in the circuit board, it could be an issue with any number of mechanisms that work to help the door operate—shorts in the wall button, wall button wiring, wired keypad or other electronic problems. The problem could also involve a faulty remote or a remote where the batteries are wearing out. 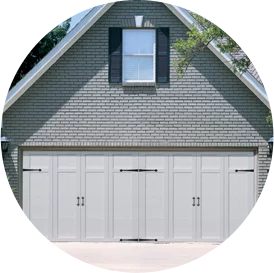 What should I look for when I need to buy a new garage door? Can I insulate my garage door? Yes! Contact us about insulation kits available for installation. We also have insulated garage doors available. Why is professional garage door installation important? If a garage door isn’t installed correctly, it can compromise the safety and security of your house and it won’t help increase your home’s energy efficiency. Garage door installation completed by professionals will be done properly. Is my garage door spring broken? Your garage door spring may be broken if the door can’t open or close or it makes an excessively loud or unusual noise when it’s operating. Broken garage door springs require professional repair services. Can I get a new remote control for my garage door opener? Yes; your local Overhead Door distributor—the Overhead Door Co. of Greater Cincinnati team—can provide you with different opener accessories, including remote controls to wireless keypads. You will first need to determine if your opener is a newer model with CodeDodger® or an older model that does not have CodeDodger®. If your opener was manufactured before 1980, you have an analog type opener that we no longer carry remotes for, and your system will need to be upgraded with a new receiver kit. These kits are available in our parts department. How do I fix my garage door keypad? Garage door keypads sometimes experience problems. The source of the problem can range from a low or dead battery to a PIN malfunction to stuck keys. A garage door professional can help you troubleshoot your keypad. What’s the difference between a sectional and rolling garage door? Sectional garage doors are usually made of six to eight panels that slide up and overhead when the door opens. They can be a more cost-effective option. 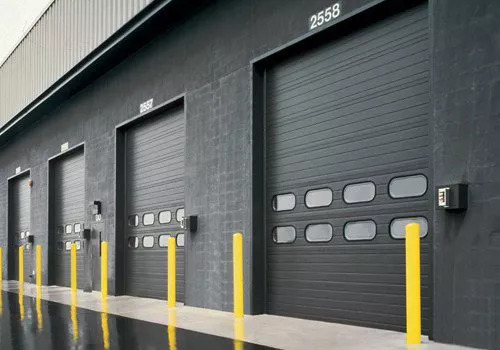 Roller, or rolling, garage doors are typically made with corrugated steel (more impact-resistant) and are often used for commercial and industrial applications. They tend to be quieter in operation and are very secure. A garage door opener should last, on average, about 10 to 15 years. However, if you keep up with proper maintenance, you can increase its lifespan. Professional maintenance usually includes lubrication of moving parts, reversal test, etc. What are the benefits of a high-speed garage door? What are the best garage doors for modern homes? Overhead Door’s modern aluminum doors are one of the best types of doors for contemporary homes. We also offer many steel carriage style garage doors that can complement the modern style. Why is my garage door so loud? Are garage door battery backup systems worth it? Overhead Door’s garage door opener battery back-up is compatible with multiple openers and will run up to 50 cycles in 24 hours after the initial power outage. These systems are really convenient, especially in areas where storms can be severe. Should I replace my front door? Replacing your front door can be really valuable. You can recoup most of the cost, and it offers benefits beyond this—like improved home value, interior comfort, etc. Can I replace my doors in the winter? What is the difference between a swinging and sliding patio door? Hinged, or swinging, patio doors are similar to traditional front doors. 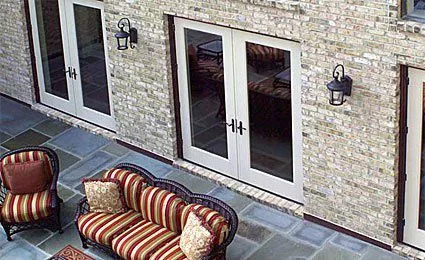 Sliding patio doors—also called gliding or bypass patio doors—slide open and closed along a track. They tend to be very energy-efficient and work well in any sized room since they don’t take up any interior space. What are the benefits of a storm door? What are common door problems I should be aware of? Didn’t find an answer to your question? Feel free to contact us!